Living on the coast has always seemed to inspire and breed creativity. 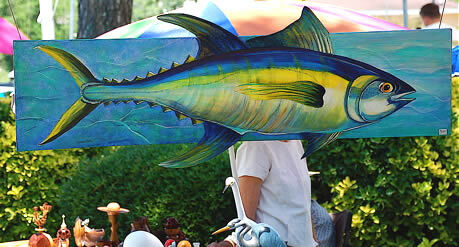 The 8th Annual Art on the Neuse Festival is today until 4:00 on the harbor in Oriental. It’s a beautiful day to be on the waterfront to hear local musicians and to see paintings, carvings and sculptures from over 30 local artisans.